Tiered reimbursement is here: What will your check look like? 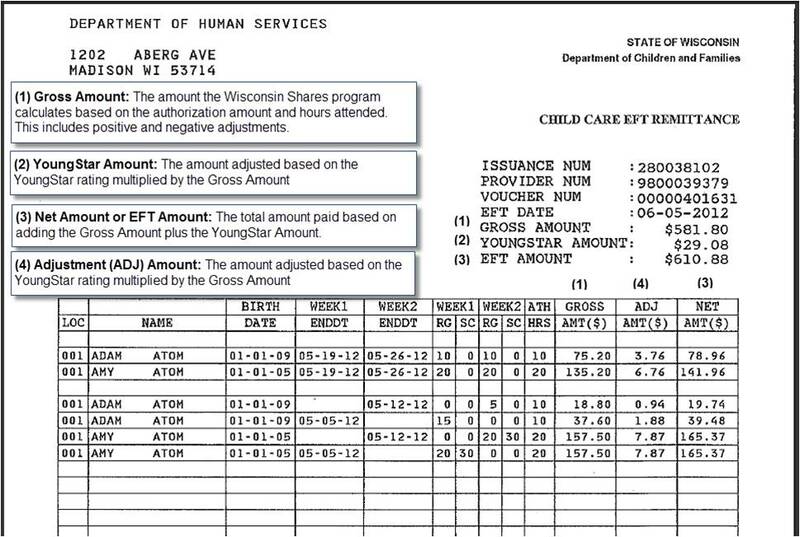 If you are a child care program that receives payments through the Wisconsin Shares programs, your next check (issued on July 14th or 21st) will look different. The Check Stub also shows the amounts for each child you are being paid for, including the “Adjustment Amount” which shows the YoungStar rating amount.